(36x30) Vintage 70s Mens Polyester Disco Pants! Rich & Deep Shade of Red! 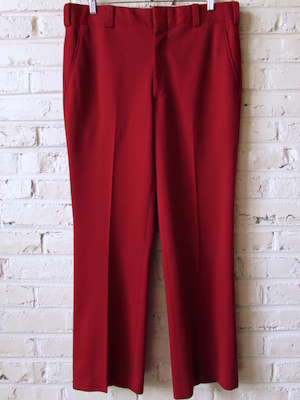 Home > 1970s Disco Clothing > All Disco Clothes > (36x30) Vintage 70s Mens Polyester Disco Pants! Rich & Deep Shade of Red! Mens vintage polyester disco pants! 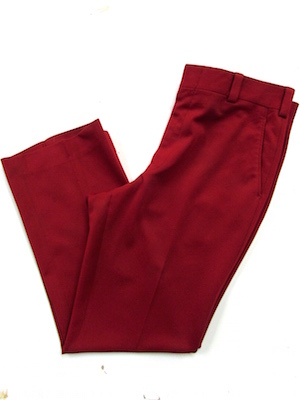 Get ready for the dance floor in these disco pants in a deep, rich shade of red. Hidden tab closure with an interior button for a secure fit. Extra long & wide belt loops. 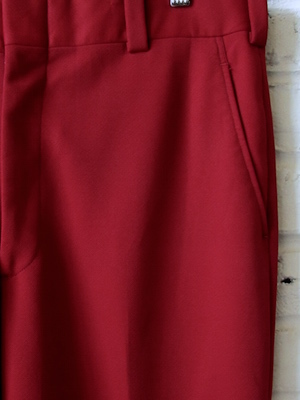 Two classic front pockets and two inner back pockets, one with a button closure. Tagged by Coffees California. No material tag, but most likely 100% polyester. Perfect for a disco party! Condition: Very Good. has a small black stain on the left cuff.